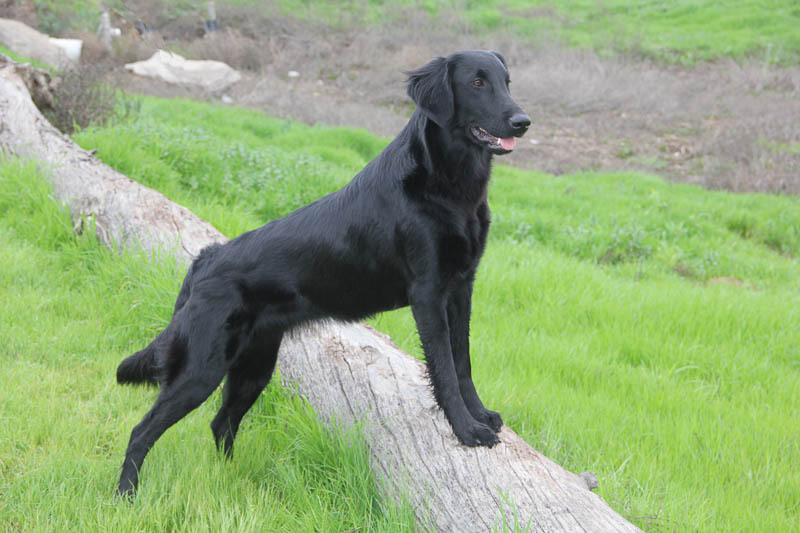 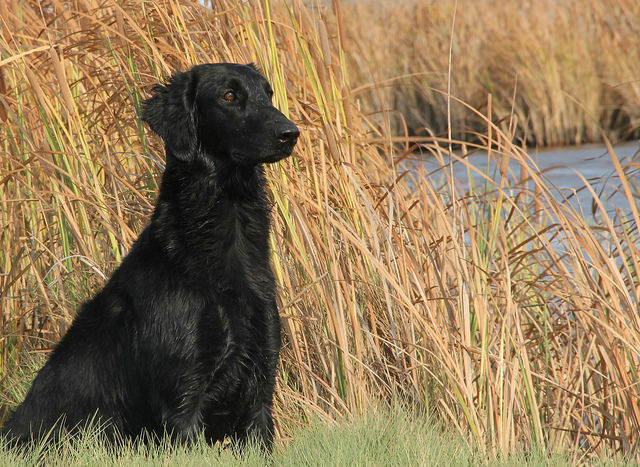 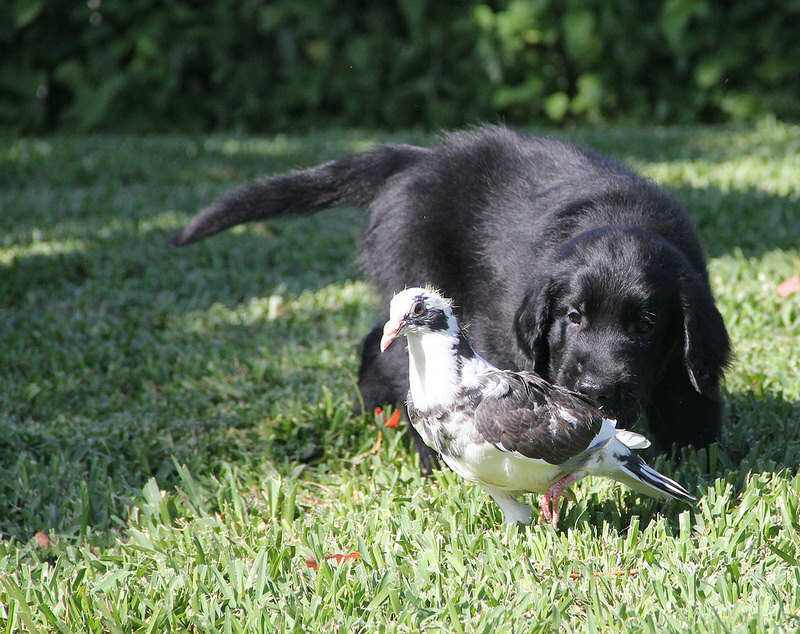 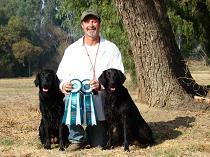 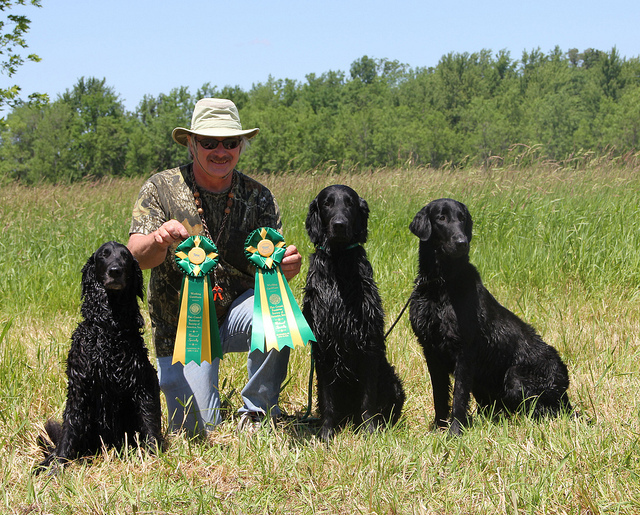 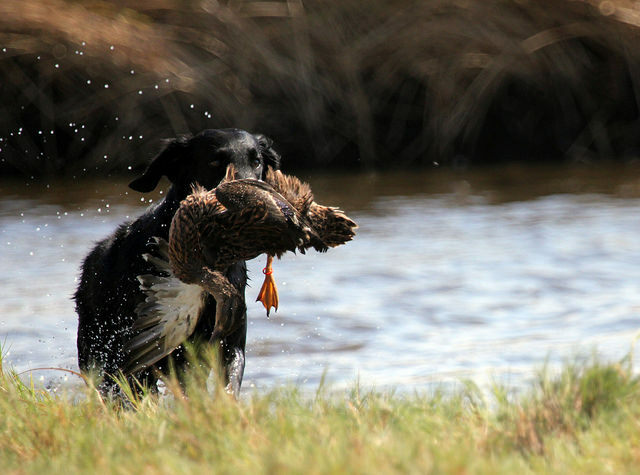 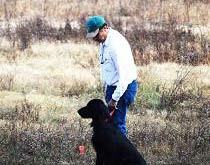 We think it is important that Flat-Coats have the opportunity to work in the field. 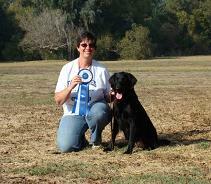 Monica and Surfer passed the WC. 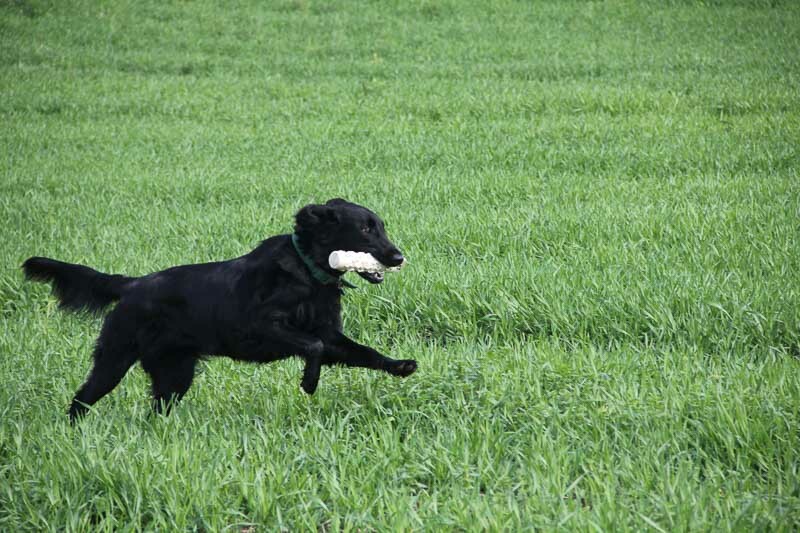 Monica looks happy! 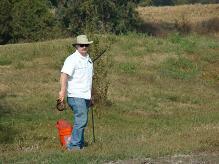 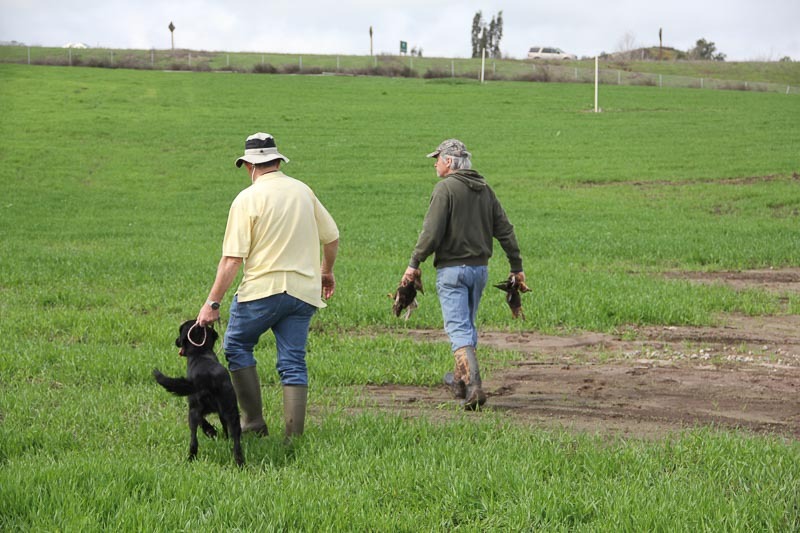 Steve Fifield attended Scott’s field class, and now they are both hooked! 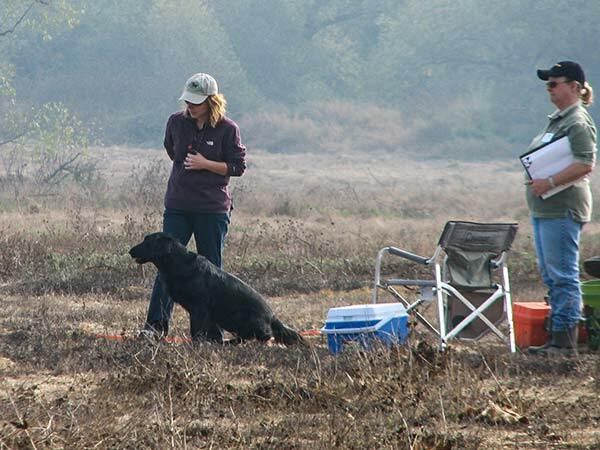 Cynthia Trotter and Piper on their way to a Working Certificate Excellent pass. 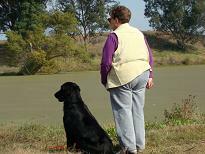 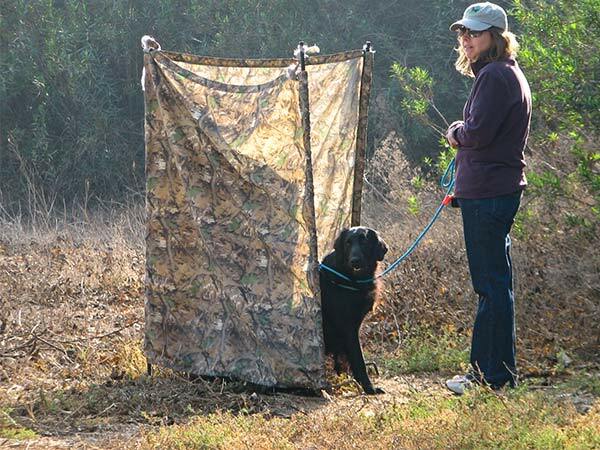 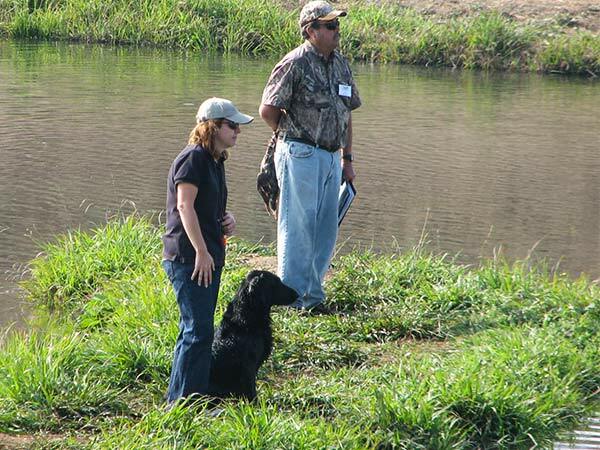 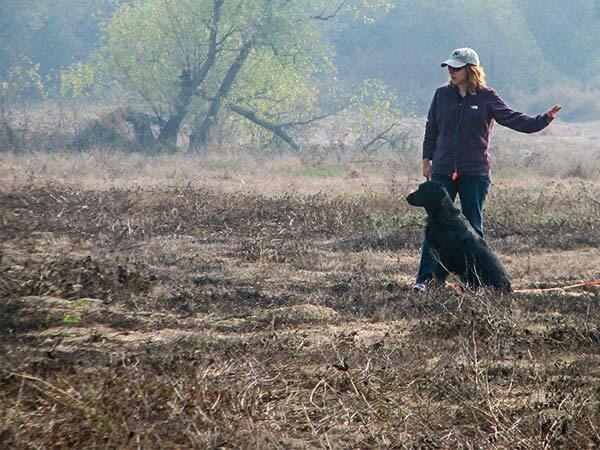 WC Judge Linda Brooks and handler Kathy Schneider watch as Xena launches herself into the pond at the WC test in November. 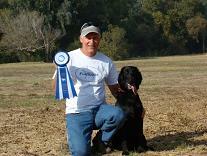 Xena passed the WC and the WCX! 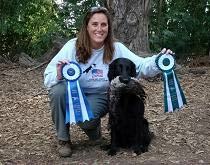 Teresa Rodney and Sprint show off their ribbons.